I take the bus to and from work. I think I have one of the most beautiful commutes in the world! 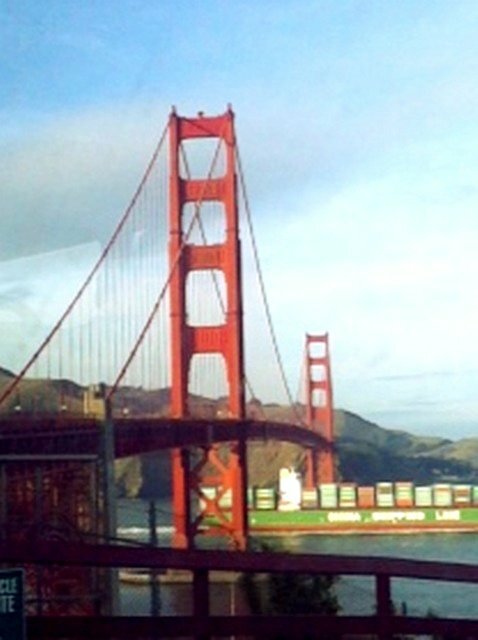 I often take photos through the bus window as I’m crossing over the Golden Gate Bridge. I never get tired of this view. It’s just amazing and it looks different every single time I cross. Below are 2 pictures from today. The first one was taken around 7am on my way in to San Francisco. 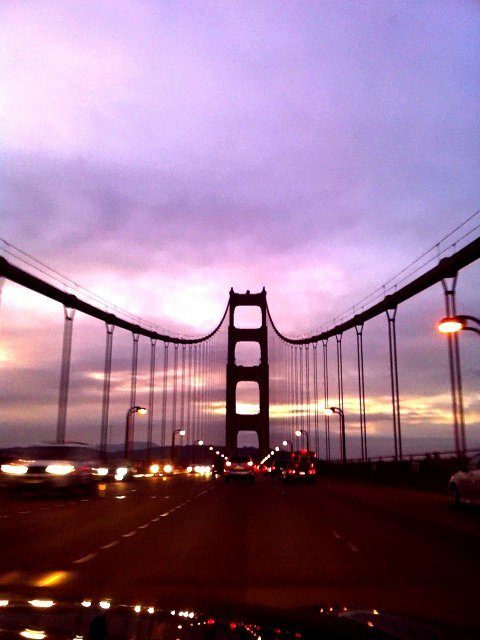 The second one was taken around 4pm on my way out of San Francisco. 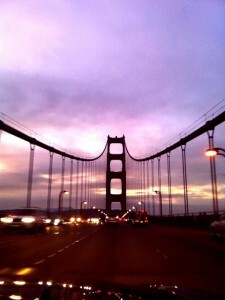 I take all the pictures with my iPhone. I’ve started using a new app called Camera+ that I really like. I’m participating in the #Mostly365 take a picture a day and share with the world. Have you seen this Website yet? It’s awesome!